Isn’t this one of the prettiest magazine covers you’ve seen in a long time? My excitement about No Doubt returning with a new album is two fold: I absolutely adore the band and their music but it also means the return of Gwen and in turn flawless images like the September issue of US Harper’s Bazaar. For the last 10 years or so, I’ve had a massive girl crush on Ms Stefani, like pretty much every female on the planet. 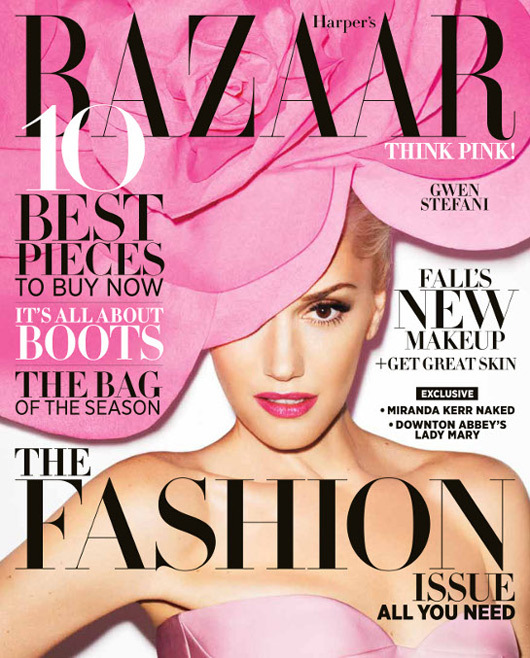 It’s great to see Gwen on the cover of a September issue. Gwen is perfection as always and surprisingly the images were shot by Terry Richardson. What do you think of the images?